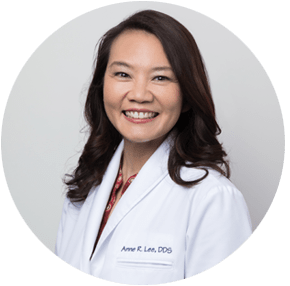 Dr. Anne Lee has been in practice since 2003 when she completed her residency in pediatric dentistry at UCSF. Prior to that, she obtained her DDS from Columbia University in New York, and her BA from UC Berkeley. She has practiced in many different settings ranging from private practice to a clinic setting at Children’s Hospital Oakland to volunteering on weekends at Samaritan House. She has been caring for the teeth of children in the So. San Francisco area since 2005 and is also a past member of the board of the San Mateo County Dental Society. Dr. Lee believes in the importance of prevention when it comes to maintaining dental health. She aims to make the dental experience positive and friendly for her patients, with a goal of fostering a generation of patients who look forward to their dental visits. Outside of the office, Dr. Lee loves spending time with family, including her young son. She enjoys many different types of activities, including sewing, running, reading, and traveling.